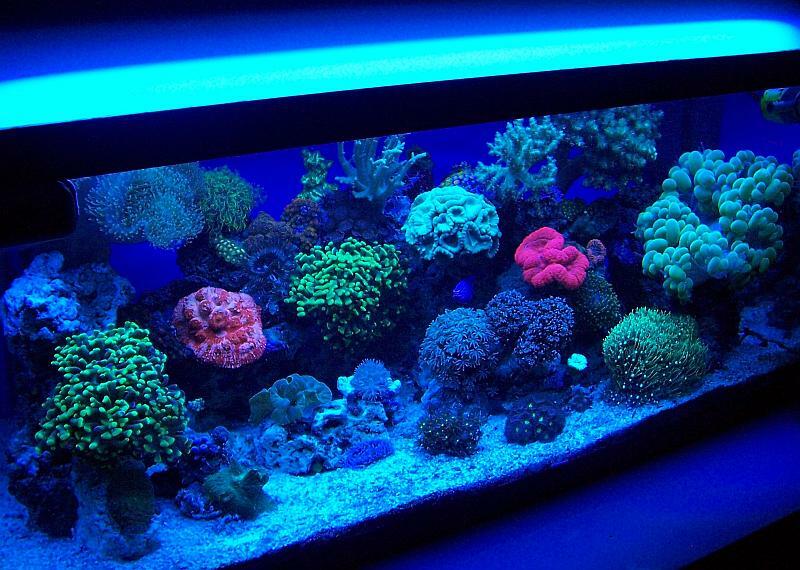 I wanted to start a thread on Modern Reef Keeping. 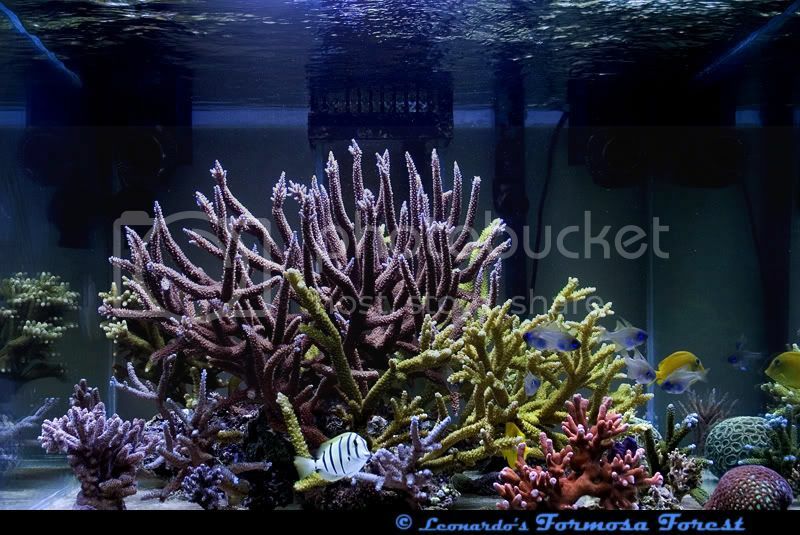 I think more or less im talking about the sophisticated well planed out systems that look very modern and contemporary in design and are more minimalist in nature but are ultimately highly sophisticated reef systems. 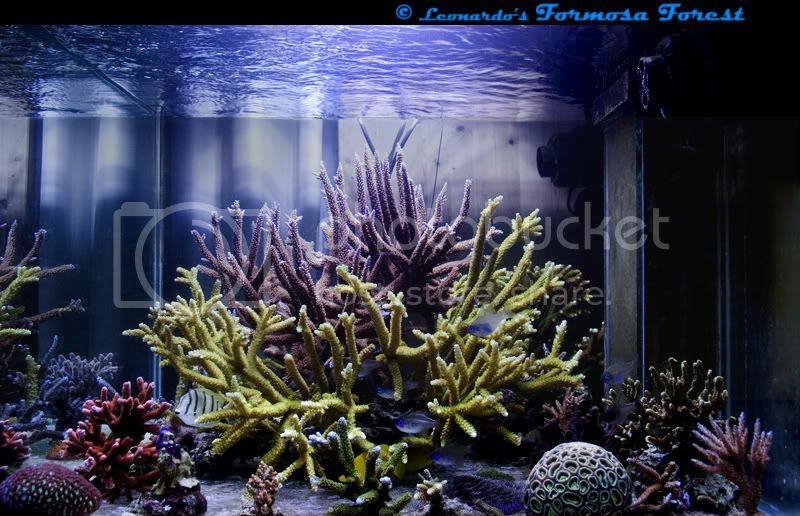 Don't forget "Leonardo's Formosa Forest"
One day I'll be so rich I'll have a closed loop and Tunzes to mix my new saltwater! me to "Simplicity is the ultamate sophistocation"
thanks for including my tank CamBarr. It is cool to see that people are into modern design ideals. Because there is complexity in purity. Cool in the avoidance of cool. nice to see more tanks coming around, but i have yet to see a real complete package. just as important as the tank and stand is the environment it is in. 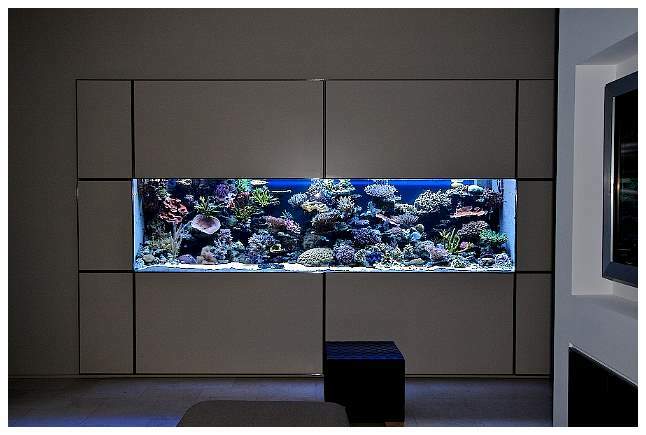 i'd suggest looking at some contemporary design books that showcase homes with aquariums. 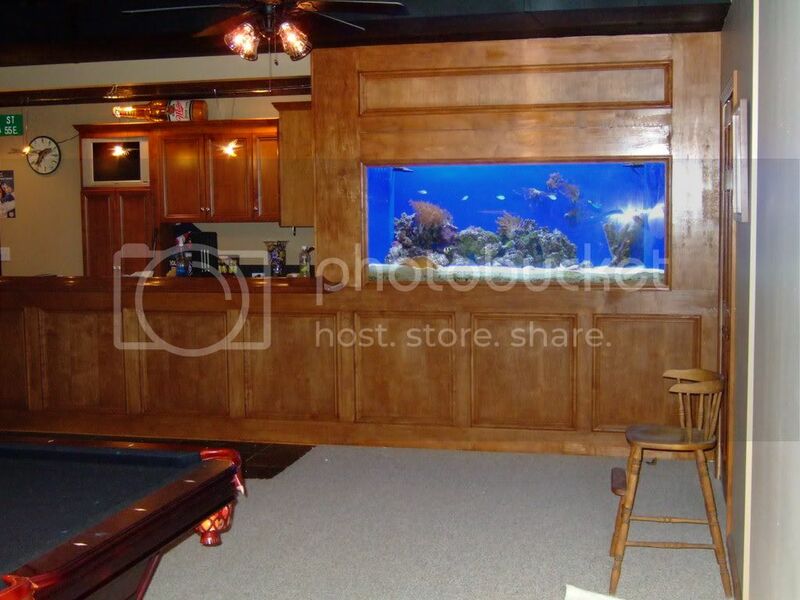 often the actual aquarium is lacking but the design is not. "i like bubbly, and i love animals - so it works out well"
"there are a lot of people out there who think they have a modern house simply because they have alot of steel in it"
P.S. 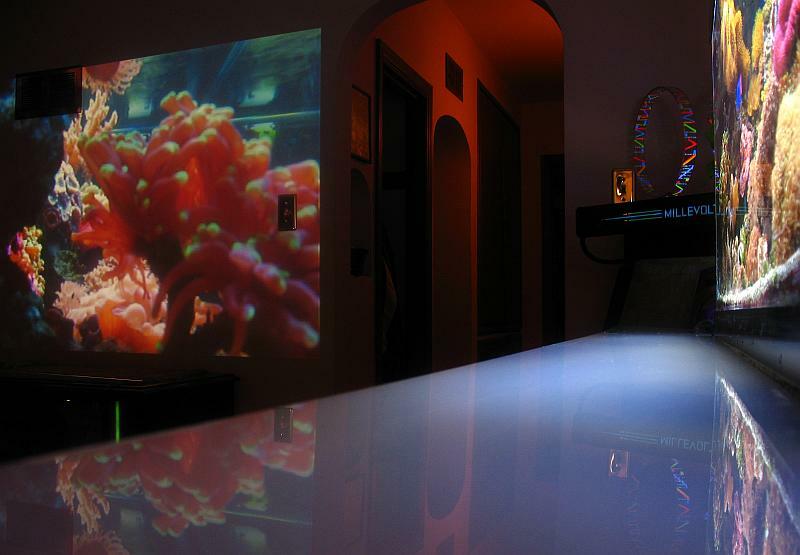 If you like this stuff, check out ADA's freshwater aquarium designs, talk about perfection! interesting quote, I guess I can agree with it as I personally feel it's just aesthetics and nothing much deeper. Ornateness achieved through simplicity. And I totally agree about environment. There is some pretty scary contemporary stuff out there too though, lol. Some extremely sharp set-ups here so far. My 40G. 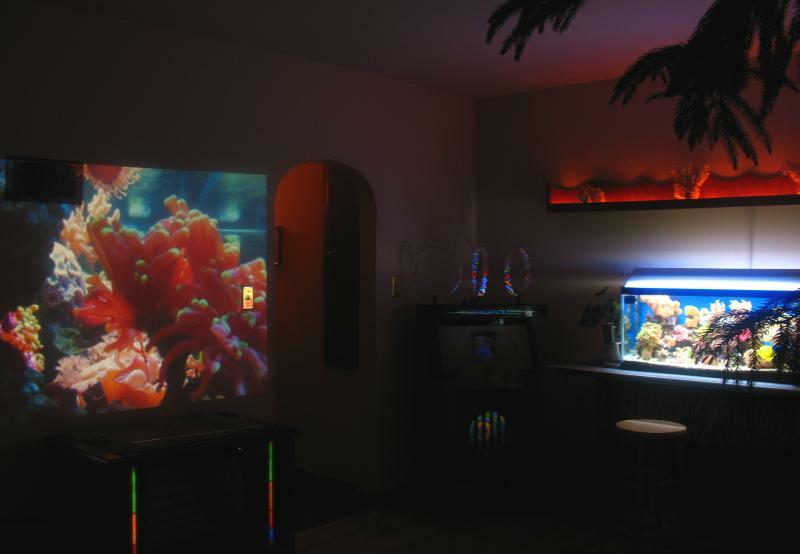 may not be as modern as some of the others posted here but it has minimal equipment visible (no skimmer or sump) and the tank can be projected live on the wall (I have since put in a projection screen that drops down). 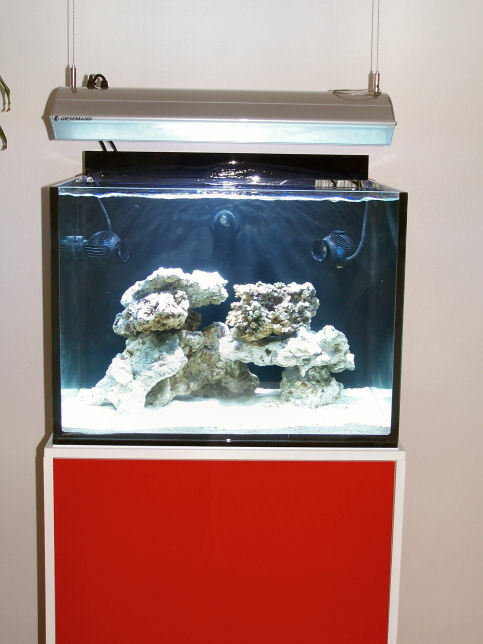 The white acrylic accents the tank nicely and the streamlined HOT5 fixture is something I made with an empty aluminum hood and some more white acrylic. I made the stand with some bamboo accents and the coral rack above it as well. Last edited by Aquabucket; 01/08/2008 at 07:42 PM. I am currently planning a 200g in our new home which we will have possession on Feb 7th. Our home is very modern styling with natural maple flooring and cabinets and lots of stainless steel throughout the home. Many of these tanks are my inspiration and can't wait for mine to become reality. For those who are interested, I will creating a build thread as my planning is more complete. 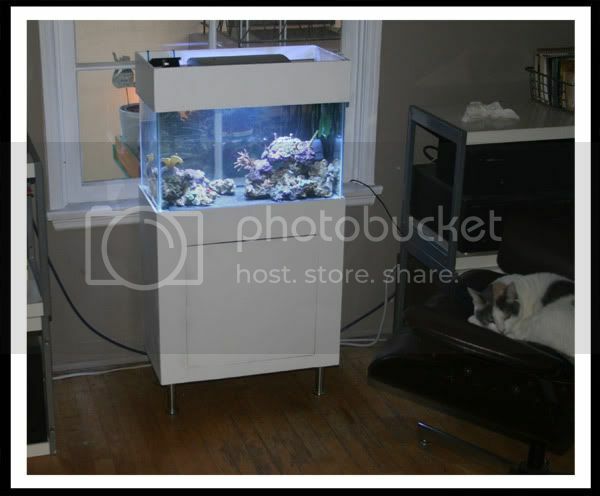 Aquabucket, great example of thinking outside the box. Modern in the respect that your approach is non-traditional. won digity, nice comments, but I think aesthetics can inspire reflection which leads to deeper understanding, so looks have their merits. F&E - awesome quote, and I agree. 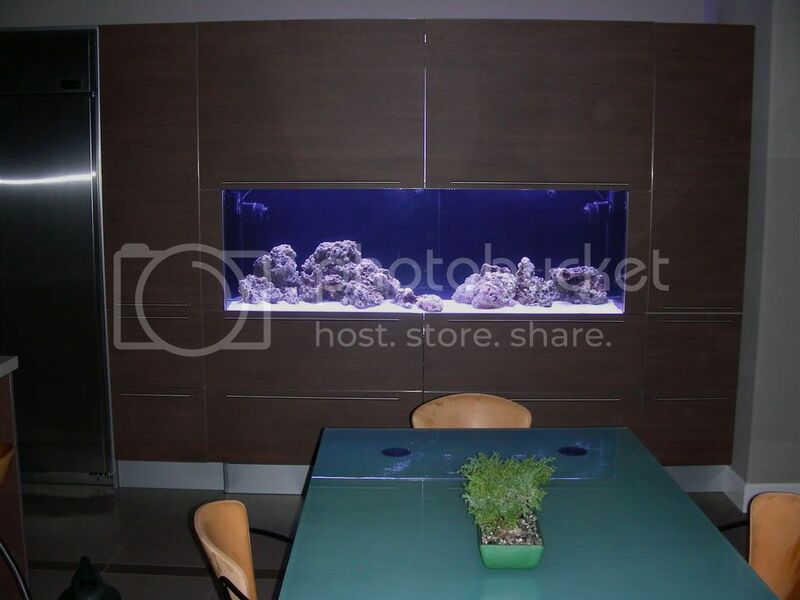 The book the inspired aquarium displays gorgeous homes with lackluster aquaria, so does MTV's cribs for that matter. 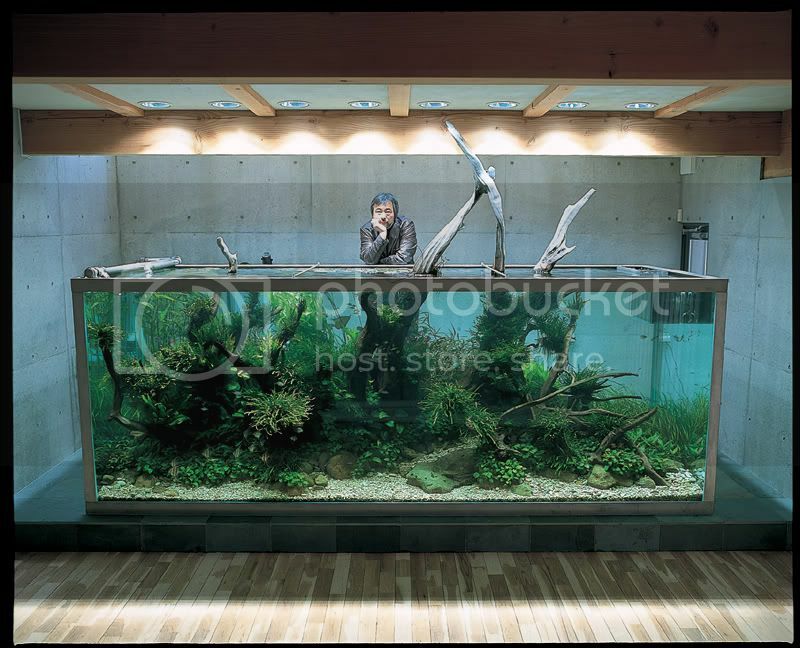 Most aquariums from Japan do not provide this satisfaction of both aquaria and "room" because, while the aquariums are simply stunning, spot metal halides are utilized heavily, and those are hard to hide and not very appealing to the eye, so it goes both ways. There are examples out there that satisfy both environments, you've just got to do some searching. Don't get me wrong, I totally agree that aesthetics are important in that aspect. I'm an admirer aesthetics for many reasons and there is so much crap that exists that is in very poor taste. It's just that when it comes down to it, modernism/minimalism don't strike me as very rational living lifestyles (I'm more of a bohemian at heart ). 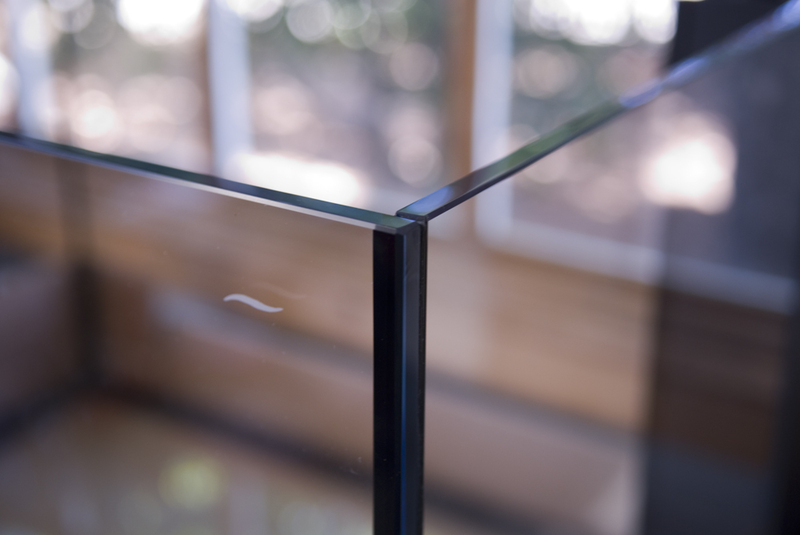 Exhibits are great to look at, but not always fit in a home. As a lover of many different design styles, I just can't find it in my heart to be all too deep about and truly accept what people have been sold to as "Modern." Especially when you understand the hypocracy related to Modern design history, and what the Modern design movement is all about. It is great that design can inspire and leave people awestruck by it. That is what is so great and powerful about design. Anyways, I won't de-thread this thread anymore about design rants, lol. As I really do love alot of modern design. 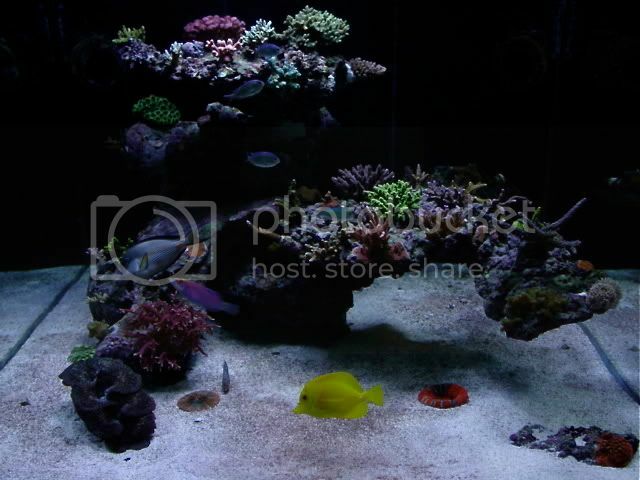 Exactly, it's about achieving a balance, for you perhaps finding genuine and appreciable art/design that has beauty AND function(meaning), and for the aquarist it is perhaps finding the right aesthetic appeal in both your aquarium AND how it fits in the living room or other environment and still function in a simple yet advanced, effective way. there is so much crap that exists that is in very poor taste. like you say minimalism isnt a look, it truly is a lifestyle. i find it odd how loosely it is used. i like the TOTM for july 2007.
i like that one too... I just hate those window shades.. lol..
ok.. I can be overcritical.. but its a really nice example and very clean. I totally agree with you guys on every word..
Its nice to be able to chat design on these forums. This one was in CORAL magazine in the first volume about three years ago. Still one of my favorite tanks of all time! 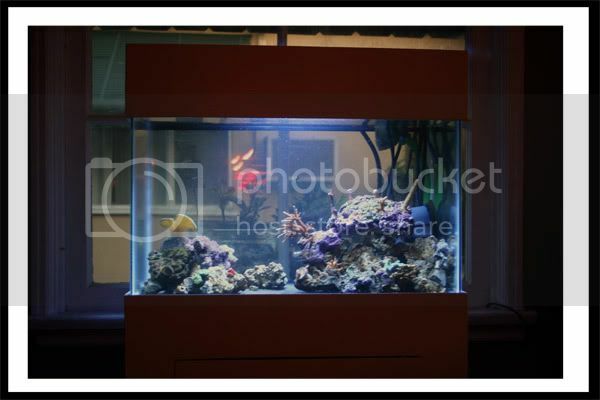 Check out my new 75 gallon reef thread by clicking on my red house! PS: that Formosa Forrest one is one of my new favorites, amazing! wow great stand. The rest of the furnature in the room dosent jive with the tank?? ?